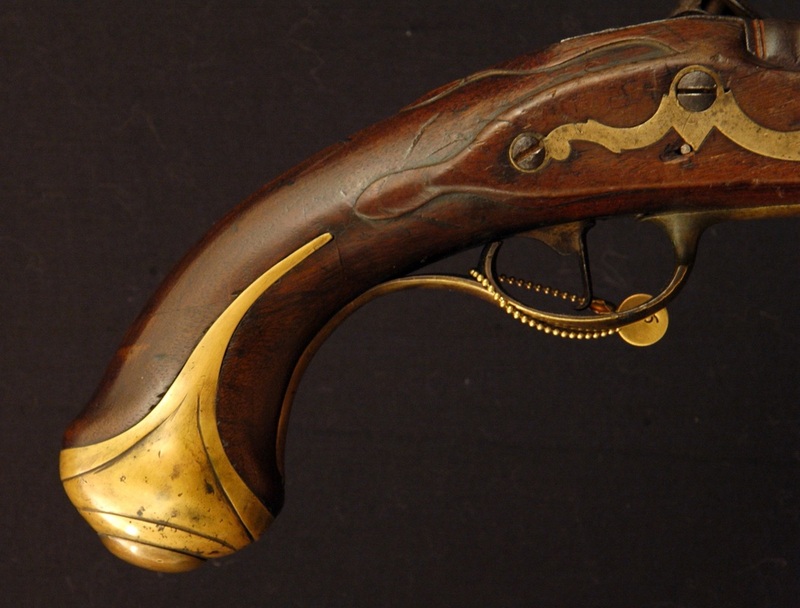 Thanks to an attentive German reader, we know that this pistol is a Kürassierpistole M 1763 from Sachsen (Saxony). 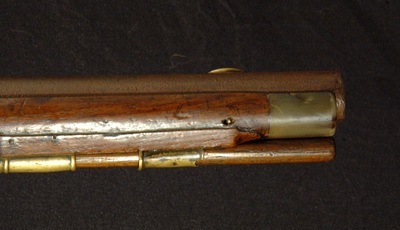 These were issued in pairs to mounted dragoons, and there appear to be more left-handed versions that survive than right. 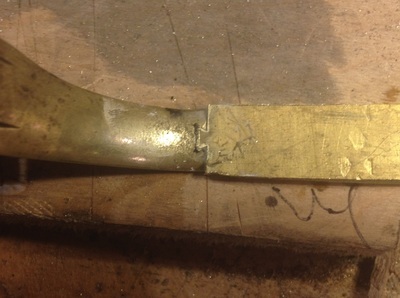 When found, the nosecap, ramrod, and most of the grip (including rear portion of the triggerguard and all of the buttcap) was missing. 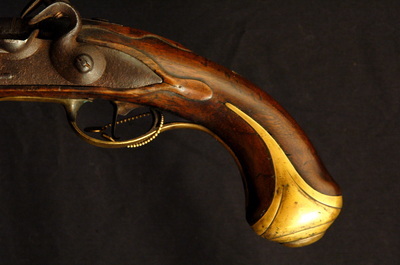 The muzzlecap had been replaced by the pistol's owner, but not aged yet. 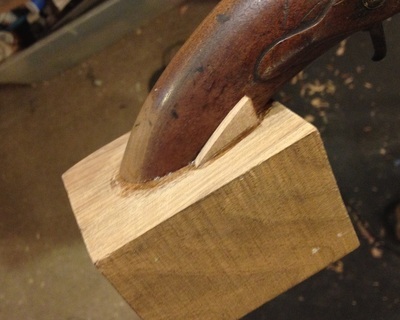 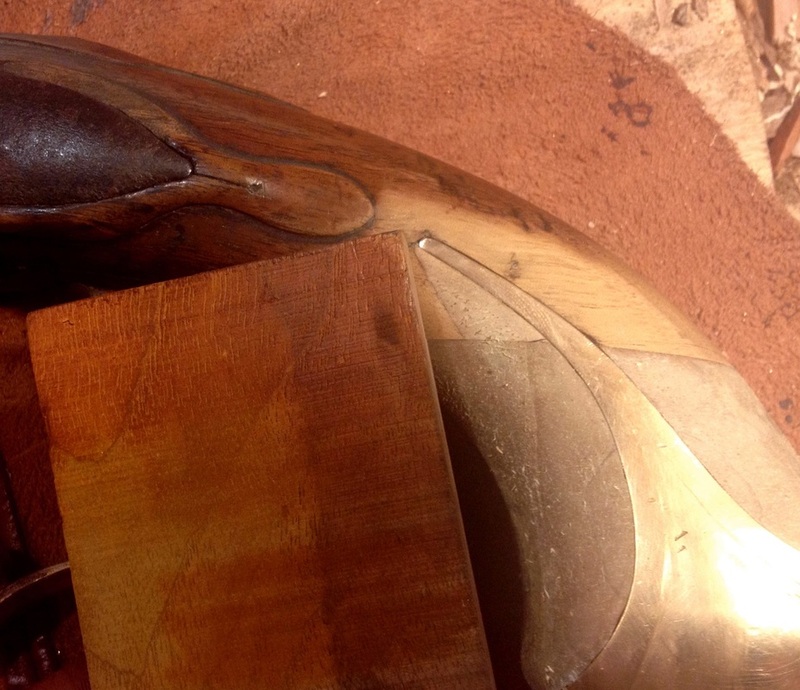 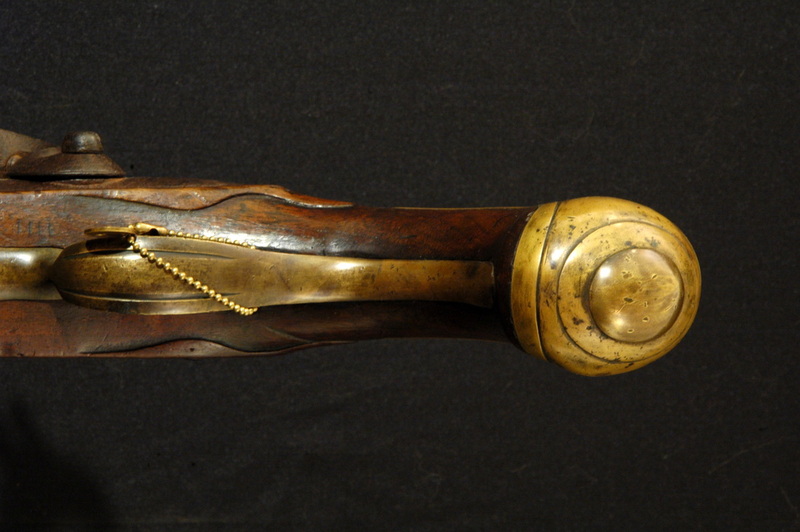 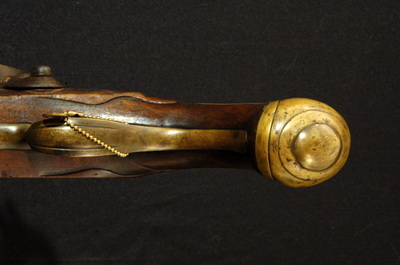 Though the grip was gone, the end of the mortise where the original spur-type buttcap was inlet remained intact, giving enough of a guideline to install a new piece. 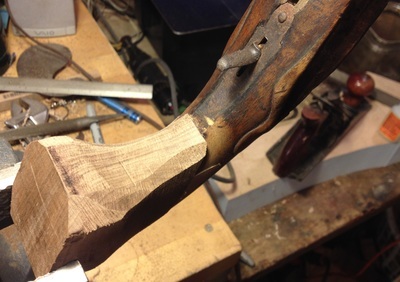 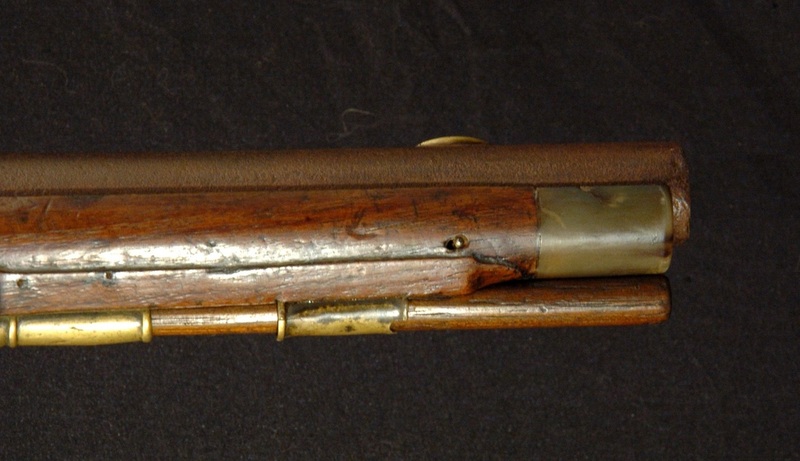 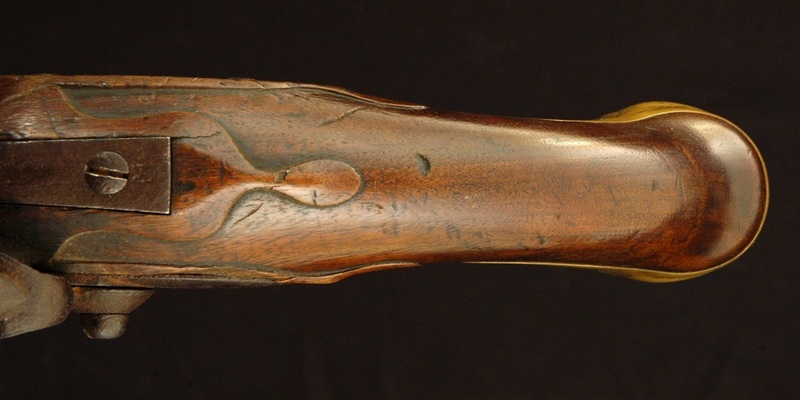 The original stock was a slab-sawn piece of walnut, and new piece for the grip was chosen that had growth rings with the same orientation and spacing. The triggerguard had a new piece dovetailed in and brazed, then the patina was matched using a combination of ammonia fumes and liver of sulfur. 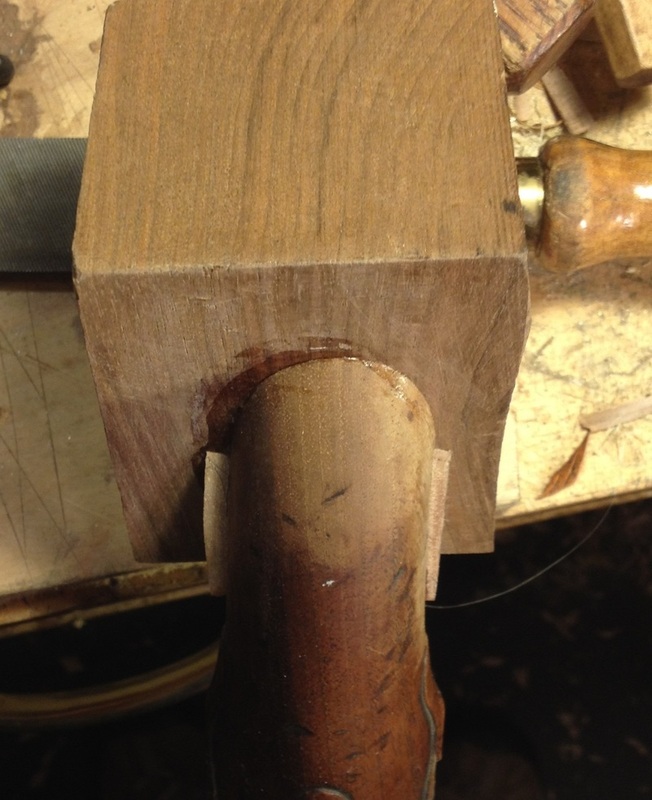 Even though the new piece of walnut was from an antique chunk of wood, the color was quite different. This was remedied by careful application of bleach, dyes, and finally soot. The original M1763 buttcap had a swivel mounted through the very bottom so as not to be lost on horseback.